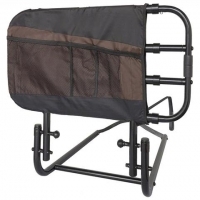 Listed here are domestic safety rails are designed to help prevent people rolling out of bed accidentally. 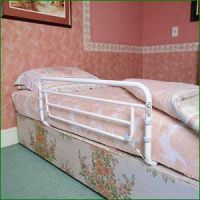 They usually have bars which run across and between the bed and the mattress for greater security. 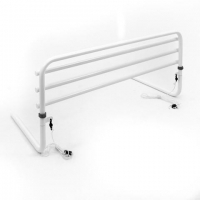 Also included in this section are alternatives to conventional rigid rails, such as inflatable and netting sides. 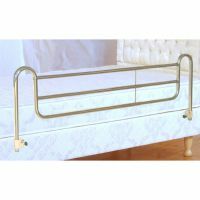 It is essential that bed rails are suitable for the people who are using them and compatible with the particular beds being used. 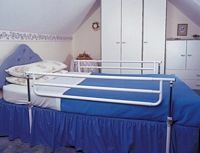 Bed rails should never be used to restrain a person. 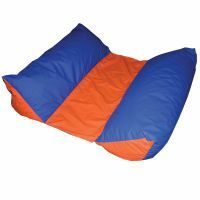 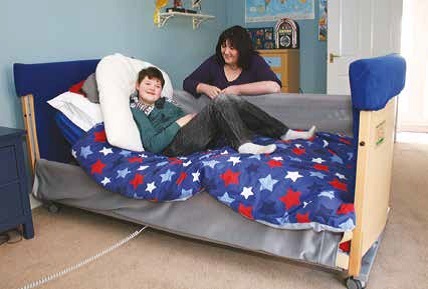 If the user is likely to attempt to climb over the rails and fall from an even greater height, it may be worth considering placing a mattress directly onto the floor. 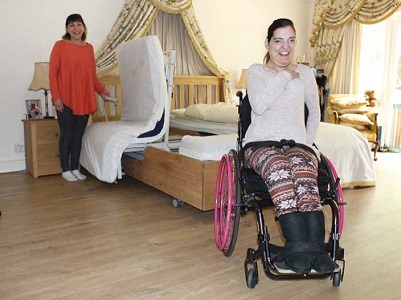 Caring for someone at floor level can be problematic, but in certain cases it provides a safer and more dignified solution. 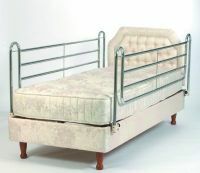 Side rails can pose a risk of serious injury, for example if part of the body gets trapped between them. 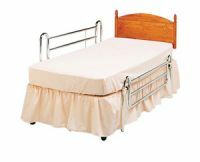 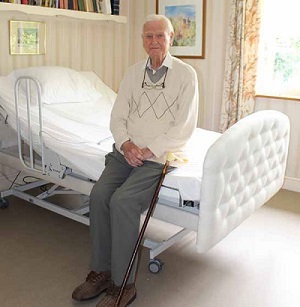 Thus it is essential that care is taken when selecting, positioning and adjusting the rails and also when choosing or changing the type of mattress to be used in a bed with rails so as not to put the user at risk. 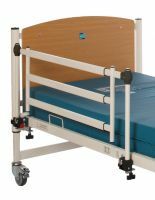 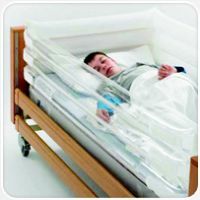 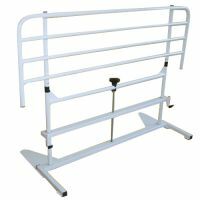 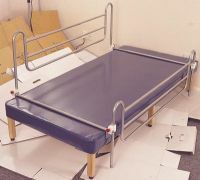 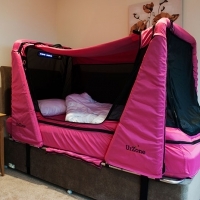 The Medicines and Healthcare Products Regulatory Agency (MHRA) have issued a document Safe Use of Bed Rails. 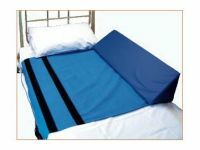 Read further important safety information on bed rails.